While no conviction was recorded against Councillor Matt Brown following his appearance in a Townsville court on drug charges, the ramifications of the guilty plea on his role in public life are not yet fully clear. The current councillor and former (briefly) NSW Police Minister was in Queensland to attend a tourism conference, in his role as chair of the Destination Kiama Advisory Group. While not wanting to go on record, members of the community have voiced their shock and dismay at his conduct, and their concern for his well-being. With ICE being such a destructive and addictive drug, there is scepticism of his claims of having found it and deciding to experiment. The day the news broke, Mayor Mark Honey said Cllr Brown had requested a leave of absence. “I have talked to Matt this morning and understand he is dealing with some significant personal issues. “My first concern is for Matt’s welfare. It’s important for him to take this time off from his duties, to ensure his health and wellbeing. “Council will be offering Matt the support services we provide our employees, for their mental and physical health. “Naturally I’m disappointed in Matt’s behaviour, which reflects poorly on our Council and our community. In a statement he sent to The Bugle, Cllr Brown said, “At the moment I have no plans regarding any leadership roles for the future. My recovery could take some time and I will be better placed to make decisions after treatment. Since his election in 2016 on a Community and Labor ticket, winning almost 18 per cent of the vote, Cllr Brown has been an active and vocal participant in Council decisions. 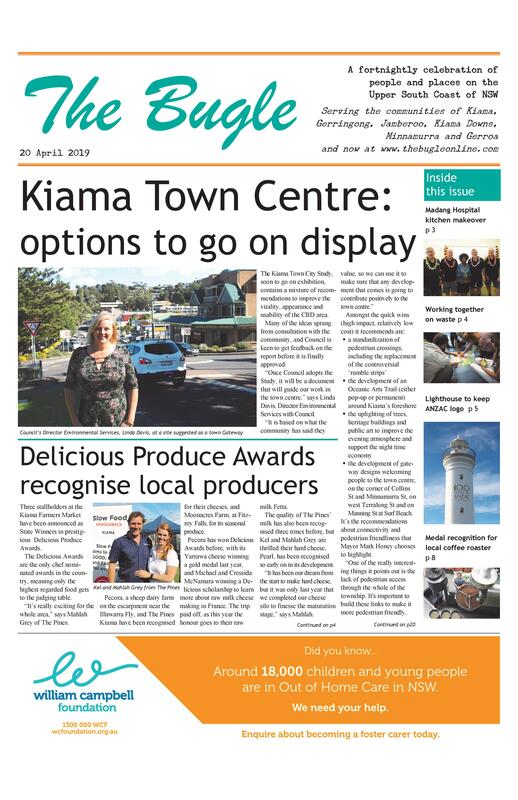 It has yet to be decided which councillor will take over as Chair of Destination Kiama in his absence.